CHARLOTTE, North Carolina -- NASCAR driver Mike Wallace says he and his daughter were attacked after a Rascal Flatts concert in North Carolina. In a Facebook post, Kenny Wallace showed a picture of his brother's injuries. 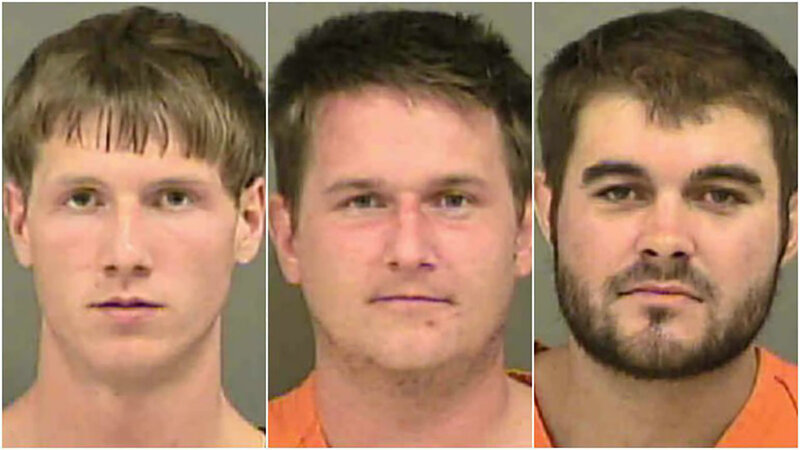 Charlotte-Mecklenburg police said three men are charged in the incident Friday night at the PNC Music Pavilion in Charlotte. Mike Wallace said three men he had never met punched and kicked him and also attacked his adult daughter Lindsey Wallace Van Wingerden. In an interview with WSOC-TV, Wallace said he was in the parking lot and said the question that prompted the attack was, "How did you like the show?" The men then started screaming at them and beating them. "It scares us to think we can't even go to a concert together without someone going to attack you or what's going to happen next," Wallace Van Wingerden said. The eldest brother of the racing Wallace family, which includes Rusty Wallace and Kenny Wallace, Mike Wallace had 197 starts in his Sprint Cup career, his last coming in the 2015 Daytona 500. He has competed in 17 Cup races in the past 10 years. His last full NASCAR season was in 2013 when he competed in the Xfinity Series, where he has four career wins in 494 starts.